The Görli testnet is the first cross-client proof-of-authority network for Ethereum. It is based on the Clique PoA protocol. 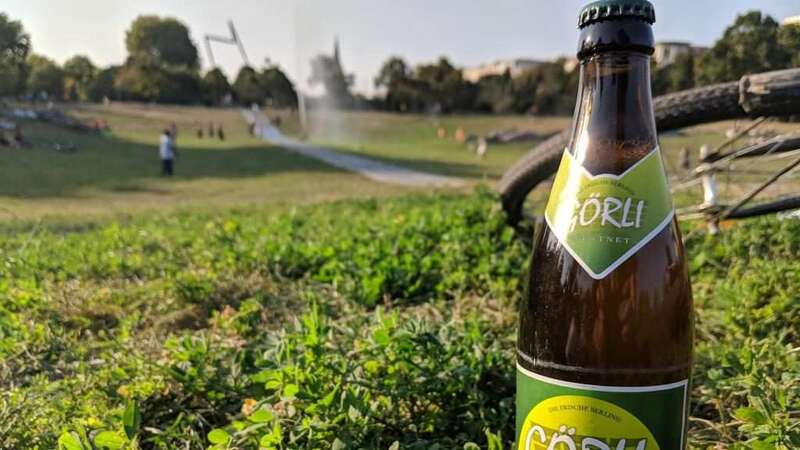 It was launched on 31 January 2019 at the GörliCon. The development is led by Chainsafe Systems + Afri Schoedon from Parity but there are dozens of more contributors that helped in making this a reality. To play around with the Görli (Goerli) testnet, you’ll need some goerli ether first. A Bridge that will allow you to convert other testnet ether to goerli ether is under works currently but there are faucet live already. You can get some sweet goerli ether from https://faucet.goerli.mudit.blog/. The faucet is based on the Authenticated faucet created by the Geth team. The faucet address is 0x8c1e1e5b47980D214965f3bd8ea34C413E120ae4. Go get a piece of the goerli ether while it’s hot and fresh! One faucet is not enough though for a decentralized testnet, right? You can also use https://goerli-faucet.slock.it/ to get some goerli ether! Now that you have some goerli ether, it’s time to spend it. You can either host your own goerli node (more on this later) or use one of the open RPC endpoints. For ease of access, You can use any of the multiple public RPC endpoints. These are hosted by volunteers so there is no uptime guarantee. 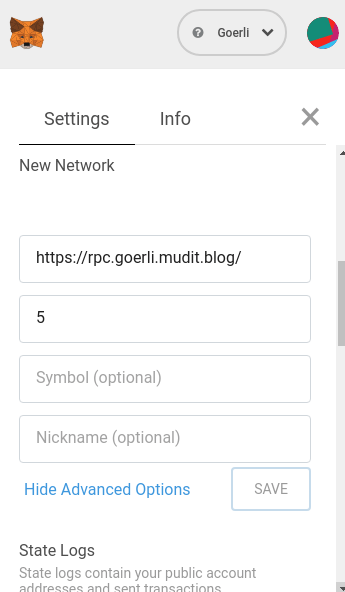 I am hosting an open goerli RPC endpoint at https://rpc.goerli.mudit.blog/. It is powered by a geth node. You can also use the endpoint powered by prylabs available at http://goerli.prylabs.net/ or the one provided by slock.it at https://rpc.slock.it/goerli. Blockscout is also hosting one at http://goerli.blockscout.com/. Infura has also recently joined the Goerli party! See https://github.com/INFURA/documentation/blob/master/docs/gettingStarted/chooseaNetwork.md for details. You can now use metamask normally to do actions on the goerli testnet. You can also directly use the endpoints in your projects using Web3. If you don’t trust an external RPC node, you can start your own goerli node within minutes. Goerli is a cross-client testnet which means you can pick from various clients including geth, parity, nethermind and pantheon to sync a node for the goerli testnet. Instructions for syncing the node are available on https://github.com/goerli/testnet. As there are only a few blocks currently, your node should finish syncing within minutes. You can then use the RPC endpoints provided by your client. You can use https://goerli.etherscan.io/, https://blockscout.com/eth/goerli and https://explorer.goerli.net/ but keep in mind that they are under heavy development and may not be working at all times. If one of them is down, you can try the other. You can see the latest goerli stats on https://stats.goerli.net/. More info about the Görli tesnet is available on https://goerli.net/ If you need any help, feel free to drop a comment here or join the Görli Gitter channel.